Please note that these Terms and Conditions are applicable to your general use of Our Website and are not aimed to be terms and conditions for your purchase of any of Our products. You will have an option to accept the applicable terms and conditions in relation to the purchase of Our products at the time of placing your order. “We/Us/Our” means Everythingindieover40 Ltd, a limited company registered in England under company number 9558013, whose registered address is at 20-22 Wenlock Road, London, England, N1 7GU. 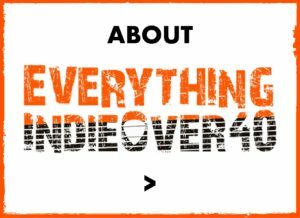 Our Website is owned and operated by Everythingindieover40 Ltd, a limited company registered in England under company number 9558013, whose registered address is at 20-22 Wenlock Road, London, England, N1 7GU. Access to the full version of Our Website requires a subscription. Visitors may visit certain pages of Our Website without requiring a subscription. We may from time to time make changes to Our Website. We will always aim to ensure that Our Website is available at all times. In certain limited cases, however, We may need to temporarily suspend availability to make certain changes. We grant you a limited, non-exclusive, revocable, worldwide, non-transferable licence to use Our Website for personal (including research and private study) and business purposes, subject to these Terms and Conditions. Subject to the licence granted to Us under sub-Clause 4.3, users retain the ownership of copyright and other intellectual property rights in their user Content (subject to any third party rights in that user Content and the terms of any licence under which you use such Content). 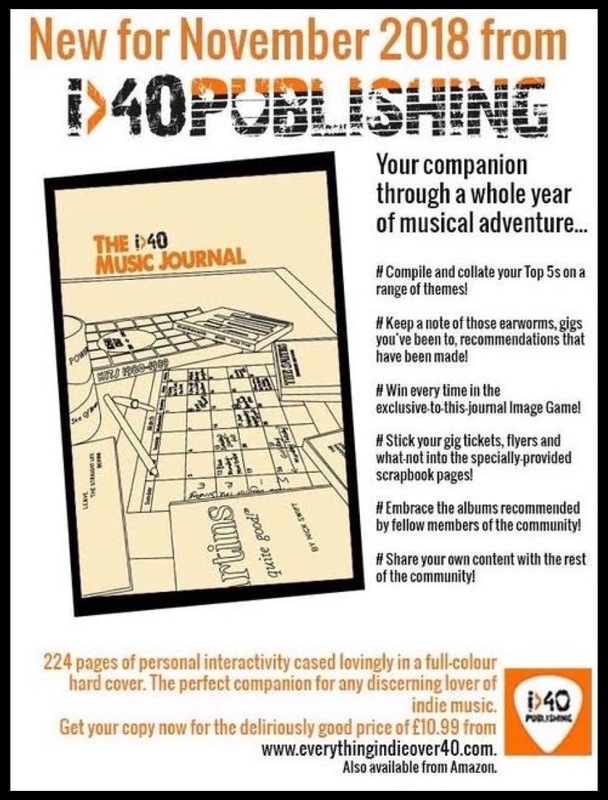 All other Content included in Our Website (including all user-facing material, and all underlying material such as code, software and databases) and the copyright and other intellectual property rights in that Content, unless specifically labelled otherwise, belongs to or has been licensed by Us. All Content is protected by applicable United Kingdom and international intellectual property laws and treaties. Not to embed or otherwise distribute Our Website on any website, ftp server or similar. Please note that the content criteria described above in sub-Clause 5.2 apply only to content over which the owner and/or operator of the website in question has direct control. You will not, therefore, be in breach of these Terms and Conditions if, for example, other users of a website on which you establish a link to Our Website post content such as comments that violate the above criteria. You agree that you will be solely responsible for any and all user Content that you create or upload using Our Website. Specifically, you agree, represent and warrant that you have the right to create or upload the user Content and the right to use all materials of which it is comprised and that it will not contravene any aspect of Our Acceptable Usage Policy, detailed in Clause 9. You agree that you will be liable to Us and will, to the fullest extent permissible by law, indemnify Us for any breach of the warranties given by you under sub-Clause 7.1. You will be responsible for any loss or damage suffered by Us as a result of such breach. You (or your licensors, as appropriate) retain ownership of your user Content and all intellectual property rights subsisting therein. By creating or uploading user Content, you grant Us an unconditional, non-exclusive, fully transferable, royalty-free, perpetual, worldwide licence to use, store, archive, syndicate, publish, transmit, adapt, edit, reproduce, distribute, prepare derivative works from, display, perform and sub-licence your user Content for the purposes of operating and promoting Our Website. If you wish to remove user Content, you may do so by <<insert brief description>>. Removing User Content also revokes the licence granted to Us to use that user Content under sub-Clause 7.3. You acknowledge, however, that caching or references to your user Content may not be made immediately unavailable (or may not be made unavailable at all where they are outside of Our reasonable control). We may reject, reclassify, or remove any user Content created or uploaded using Our Website where that user Content, in Our sole opinion, violates Our Acceptable Usage Policy, or if We receive a complaint from a third party and determine that the user Content in question should be removed as a result. All user Content and the intellectual property rights subsisting therein, unless specifically labelled otherwise, belongs to or has been licenced by the relevant user. All user Content is protected by applicable United Kingdom and international intellectual property laws and treaties. Users may not copy, distribute, publicly perform, publicly display, reproduce or create derivative works based upon, another user’s Content without first obtaining the express consent of the user to whom the user Content in question belongs. We may take technical measures to limit and/or restrict the ability of users to unlawfully copy user Content created using Our Website. Despite such measures, We do not make any representation or warranty that your user Content will not be unlawfully copied without your permission. We hereby exclude any and all liability arising out of any actions (including, but not limited to, those set out above) that We may take in response to breaches of these Terms and Conditions. We may feature advertising within Our Website and We reserve the right to display advertising on the same page as any user Content. Each advertiser is responsible for the content of their own advertising material. We will not be responsible for any advertising in Our Website including, but not limited to, any errors, inaccuracies, or omissions. No part of Our Website or any accompanying documentation (whether provided in electronic form or otherwise) constitutes advice on which you should rely and is provided for general information purposes only. Professional or specialist advice should always be sought before taking any action relating. We make no representation, warranty, or guarantee that Our Website will meet your requirements, that it will be fit for a particular purpose, that it will not infringe the rights of third parties, that it will be compatible with all software and hardware, or that it will be secure. We make reasonable efforts to ensure that the content contained within Our Website is complete, accurate and up-to-date. We do not, however, make representations, warranties or guarantees (whether express or implied) that Our Website (and the content therein) is complete, accurate or up-to-date. We are not responsible for the content or accuracy, or for any opinions, views, or values expressed in any user Content created or uploaded using Our Website. Any such opinions, views, or values are those of the relevant user, and do not reflect Our opinions, views, or values in any way. If you are a consumer, We will be liable to you for any foreseeable loss or damage that is caused by Us as a result of Our breach of these Terms and Conditions or Our failure to exercise reasonable care and skill. Loss or damage is foreseeable if it is either obvious that it will occur or was contemplated by you and Us when the contract between us was formed. If you are a business, to the fullest extent permissible by law, We accept no liability for any foreseeable loss in contract, tort (including negligence), for breach of statutory duty, or otherwise arising out of or in connection with the use of (or inability to use) Our Website or the use of or reliance upon any Content (whether that Content is provided by Us or whether it is user Content) included in Our Website. To the fullest extent permissible by law, We accept no liability to consumers or businesses for loss or damage that is not foreseeable. To the fullest extent permissible by law, We exclude all representations, warranties, and guarantees (whether express or implied) that may apply to Our Website or any Content (including User Content) included in Our Website. If you are a business, We accept no liability for loss of profits, sales, business or revenue; loss of business opportunity, goodwill or reputation; loss of anticipated savings; business interruption; or for any indirect or consequential loss or damage. We exercise all reasonable skill and care to ensure that Our Website is free from viruses and other malware. Subject to sub-Clause 9.1.3, We accept no liability for any loss or damage resulting from a virus or other malware, a distributed denial of service attack, or other harmful material that may adversely affect your hardware, software, data or other material that occurs as a result of your use of Our Website (including the downloading of any Content (including user Content) from it) or any other website or service that We may provide a link to. Nothing in these Terms and Conditions excludes or restricts Our liability in any situation where it would be unlawful for us to do so including fraud or fraudulent misrepresentation, for death or personal injury resulting from negligence, or for any other forms of liability which cannot be excluded or restricted by law. For full details of applicable consumers’ legal rights, including those relating to digital content, please contact your local Citizens’ Advice Bureau or Trading Standards Office. We exercise all reasonable skill and care to ensure that Our Website is secure and free from viruses and other malware. We do not, however, guarantee that Our Website is secure or free from viruses or other malware and accept no liability in respect of the same. You must not attempt to gain unauthorised access to any part of Our Website, the server on which Our Website is stored, or any other server, computer, or database connected to Our Website. You must not attach Our Website by means of a denial of service attack, a distributed denial of service attack, or by any other means. By breaching the provisions of sub-Clauses 13.3 to 13.5 you may be committing a criminal offence under the Computer Misuse Act 1990. Any and all such breaches will be reported to the relevant law enforcement authorities and We will cooperate fully with those authorities by disclosing your identity to them. Your right to use Our Website will cease immediately in the event of such a breach and, where applicable, your Account will be suspended and/or deleted. The Use of Our Website is also governed by Our Privacy and Cookie [Policy] OR [Policies], available from <<insert link(s)>>, which provide further details on how we process your personal data. These Terms and Conditions, the Contract and your use of Our Website (whether contractual or otherwise) shall be governed by, and construed in accordance with the law of England & Wales. If you are a consumer, any dispute, controversy, proceedings or claim between you and Us relating to these Terms and Conditions and your use of Our Website (whether contractual or otherwise) shall be subject to the jurisdiction of the courts of England, Wales, Scotland, or Northern Ireland, as determined by your residency in the United Kingdom.